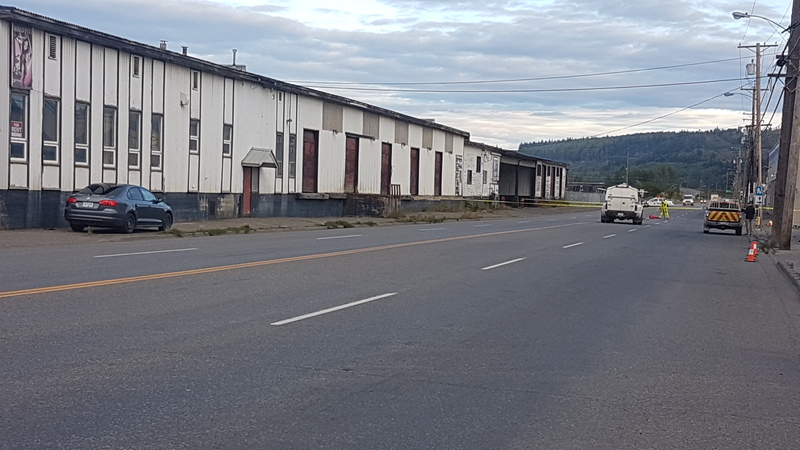 PRINCE GEORGE, BC: On Monday September 9, 2018 at approximately 4:40 PM, the Prince George RCMP received a report of a fatal collision involving a bicyclist and a tractor trailer unit. The collision occurred at the corner of 1st Avenue and Queensway in Prince George. Police and other emergency services attended the scene. Initial investigation indicates that an adult female cyclist collided with the trailer after the tractor trailer turned onto Queensway off 1st Avenue. Investigators believe she was traveling on the wrong side of the road and on the sidewalk. The cyclist died as a result of injuries sustained. The BC Coroners Service, Commercial Vehicle Safety Enforcement and a RCMP Traffic Reconstructionist were called and attended the scene. The deceased has not yet been identified. Investigators would like to speak with anyone that has information about this incident or who the cyclist may be. If you have any information about this collision or if you witnessed the incident, please contact the Prince George RCMP at (250)561-3300. Written and released by Prince George RCMP.